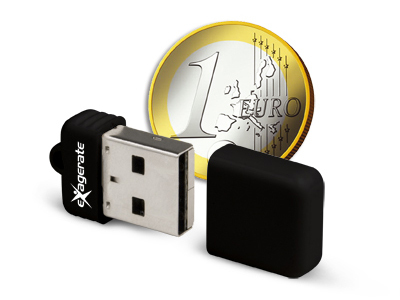 Exagerate ZeligOne is the smallest USB Flash Disk on the market. With its overall dimensions of only 7 millimeters it may be safely left inserted into the USB port on your laptop, even during transport, without having to remove it. This feature makes it the best solution to expand the storage memory of your Notebook or Netbook with all the data protection of Nand Flash technology. ZeligOne is available in White or Black color.